Sinclair McKay at the British newspaper the Telegraph offers a review of a new book on Ian Fleming and the Jamaican villa where James Bond was born. While the pleasure of reading Ian Fleming’s James Bond thrillers never diminishes, the irony is that 007’s creator is actually the more compelling figure of the two. The Bond novels were once described by Fleming’s biographer John Pearson as exercises in “the autobiography of dreams”. So the spy who goes into battle with diabolical masterminds and gets soppy over women such as Galatea Brand and Tiffany Case is the wish-fulfilment of an author who was forced to stay behind a desk at Naval Intelligence throughout the war. Fleming’s knowledge of Britain’s greatest secrets (including the Bletchley code-breaking triumphs) meant that capture in the field could never be risked. But throughout Matthew Parker’s account of Fleming’s post-war sojourns in Jamaica, and how they shaped his fiction, we can imagine Bond himself looking on and feeling a perverse stab of envy. Not that Parker glamorises: the story of Goldeneye, the house that Fleming built, is shot through with melancholy and creeping mortality. 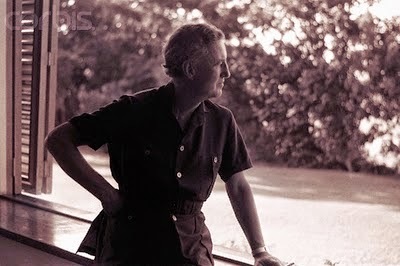 In the later stages of the war, Fleming became infatuated with Jamaica. This was still a colonial world, though independence was fast approaching. Immediately after the war, in 1946, he found a plot of land and arranged to have a stark property constructed – plain bedrooms, hard floors, rudimentary plumbing that “hissed like vipers and ululated like stricken bloodhounds”. 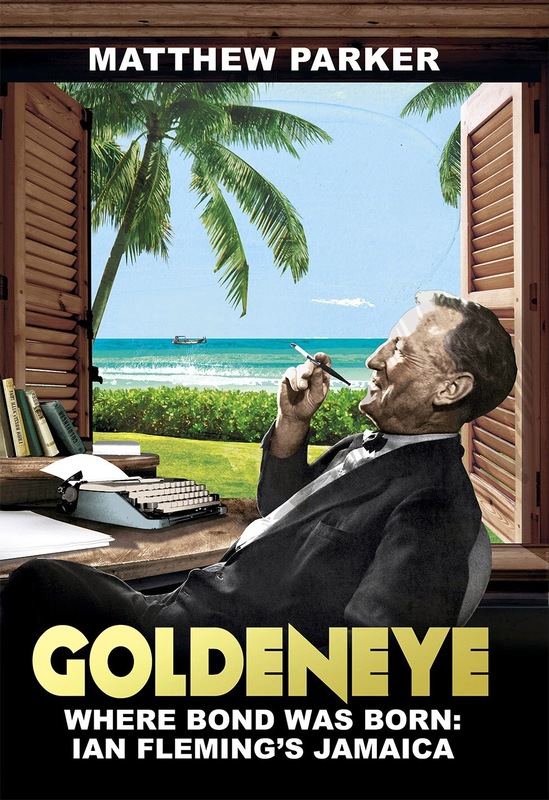 The point of Goldeneye was communion with the fecund life outside, as well as a retreat from freezing, grey Britain – a refuge in which Fleming could write books. It was an uncompromisingly masculine place. 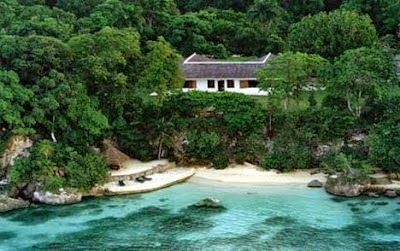 Note: I was fortunate to have spent a week at Goldeneye with my wife in the mid-1980s before the villa and estate was upgraded and modernized. When we visited the villa it was basically as rustic as when Fleming lived there. I sat and wrote at Fleming's desk, eat at his dining table, and was served by his former housekeeper Violet. I also lounged on his private beach, and went free diving in his cove. Goldeneye was a magical place.